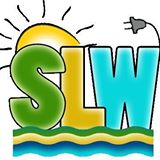 Sebewaing Light and Water offers Internet service to approximately 1,881 people in 1 cities over 1 states. Sebewaing Light and Water is available in 1 state. SEI Communications provides Fiber, DSL and Fixed Wireless services. Sister Lakes Cable provides Cable services. Sierra Tel provides Fiber, DSL and Copper services.